Simply put, I want to incorporate beautiful and vivid illustrations like this into my full-length epic medieval action-adventure romance novel, and thus create a sort of hybrid version of a graphic novel. It is my vision and goal to visually bring to life the character and action in the story for the enhanced entertainment and enjoyment of the reader. In addition, expanded chapter excerpts and other material dealing with this two-book series can be explored at www.readexcerpts.com to give potential backers a good feel for the book’s storylines and its characters. Crowd-funding sites like Kickstarter are a valuable tool for artists in all fields—but at the same time, it is hard to grab the attention of potential backers because there are literally hundreds of worthy projects to support. “The White Wolf Prophecy Project” has only been up about a week or so and it has already rapidly sunk beneath the waves of new daily projects. And, unfortunately, I don’t have a huge network of family and friends to tap into for funding support…which is why I am hoping for the generosity of those strangers reading this blog who might find merit in my project…and even spread the word about it through email, Twitter, Facebook, etc. So that is why I have come to you for help in reaching my minimum goal amount. Even a pledge of $5.00 is appreciated, and no monies are collected unless the minimum goal amount is reached by the time the project period ends on June 8. 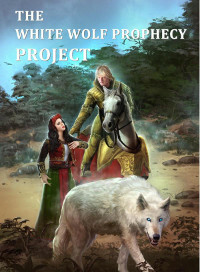 This entry was posted in Blogs, Promotions and tagged kickstarter, white wolf prophecy project. Bookmark the permalink.